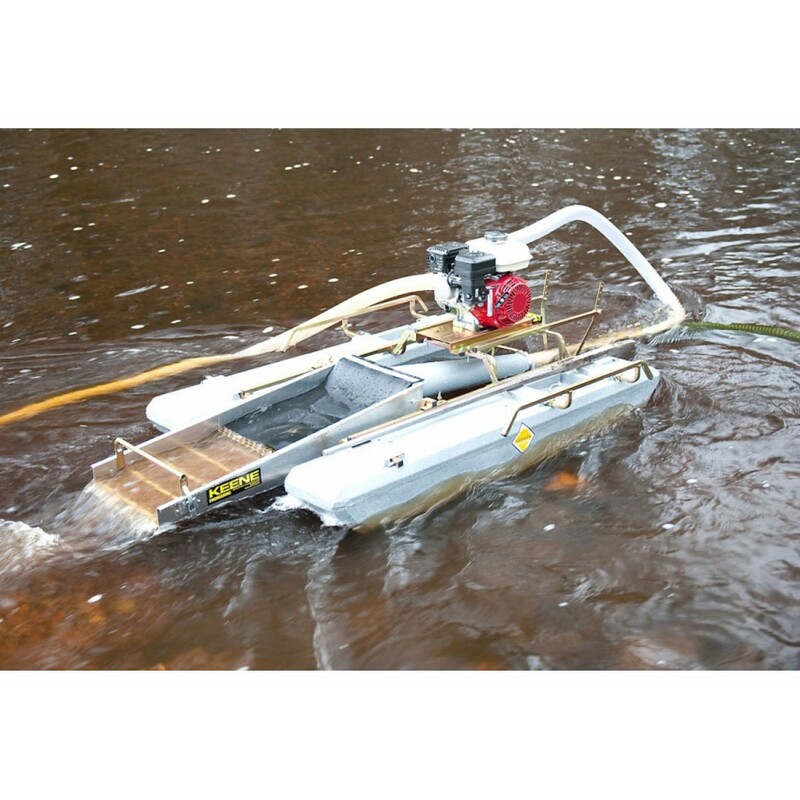 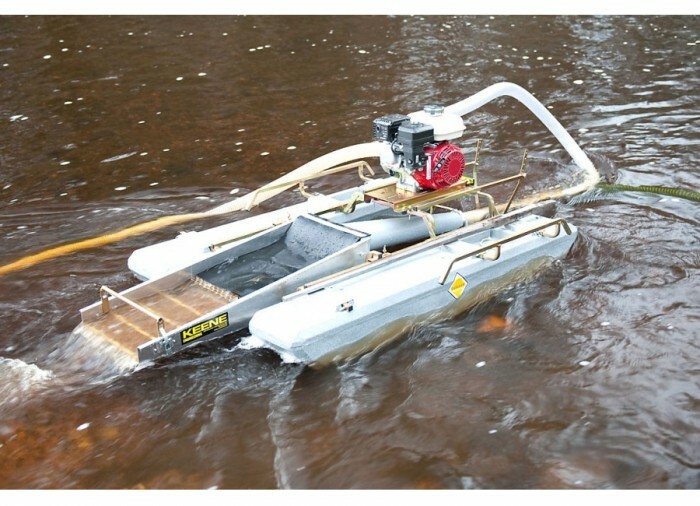 Model 3505PH comes complete a 6.5 horsepower engine, 20 feet of 3" suction hose and a 14" x 48" sluice box. Equipped with a P180 pump, T80 compressor, our new over-sized jet flare and jet with suction hose quick coupling. 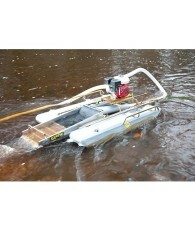 Float dimensions are 60" x 10.5" x 10.5" and Flotation assembly is 60" x 40" Net Weight: 179 lbs.